Hello! 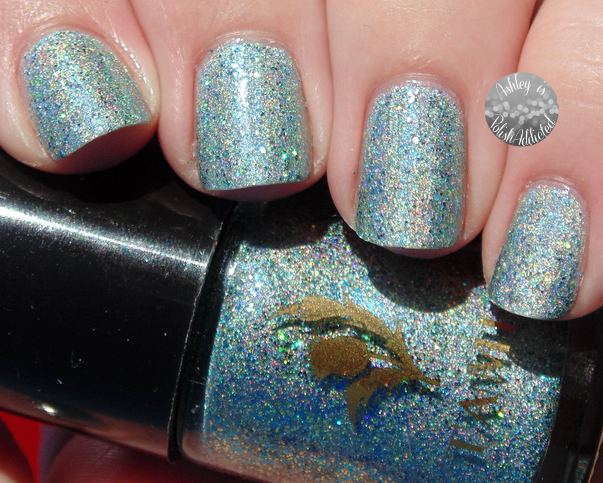 Today I have another polish from Tami to show you. I showed you the gorgeous Skibo Sunset a few weeks ago and today I have Lady of Lomond. I meant to show you this one sooner but I had to re-swatch a couple of times because I wasn't happy with my photos. So, here it is to brighten up your Tuesday! 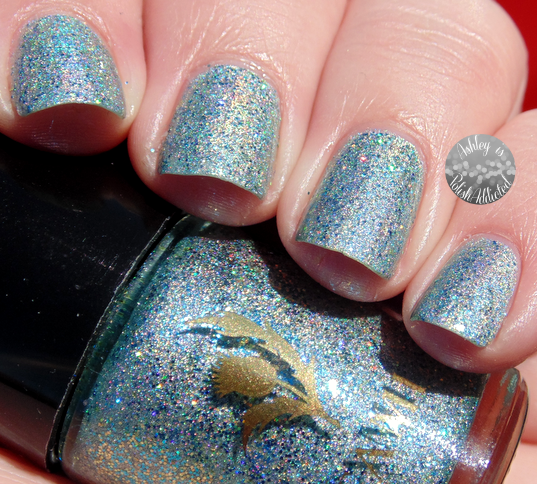 Lady of Lomond is a beautiful aqua blue holo with holographic glitter. The sparkle in this one is so stunning! 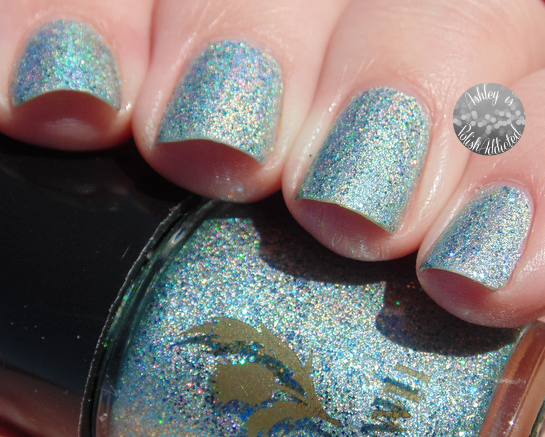 The holo is sort of a loose linear - very similar to the holo in Skibo Sunset, but the added glitter does give it more of a blingy finish that that one. The formula was creamy and smooth, no issues at all. I used two coats and one coat of top coat for the photos. Tami Nail Polish is custom formulated by the creators at Tami Beauty then produced at the same facility as the Leighton Denny range of polishes. All polishes are proudly made in Scotland and are 3-free and cruelty-free. I love the added touch of the Scottish Thistle for their logo! Polishes are 10mL and retail for £8.99 (The USD equivalent changes daily but is approximately $14.) They post worldwide, £4 (aprx. $6) per order. Tami is also available at Llarowe. This one is currently out of stock, so keep an eye on Llarowe's Facebook for more info! Oh wow, this is absolutely stunning! !